An election for the position of Chair was held at the Open Policy Meeting on Wednesday, 1 March 2017. Two Co-Chairs were also appointed by the new Chair. Congratulations to the new Chair and Co-Chairs. The community thanks outgoing Policy SIG Chair, Masato Yamanishi, for his many years of service. 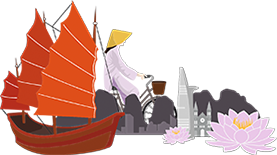 The policy proposals to be discussed at APNIC 43 have been translated into the following languages. 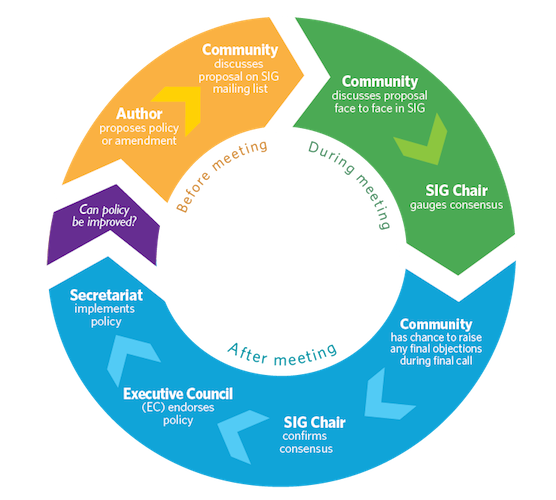 As the APNIC Policy Cycle is active before, during, and after each Open Policy Meeting, it is important to participate during all phases. Before and after the meeting, discussion about policy proposals happens on the Policy SIG mailing list. During the meeting, you can participate in the policy discussion in person by attending the meeting, or use the remote participation facilities available on this website.